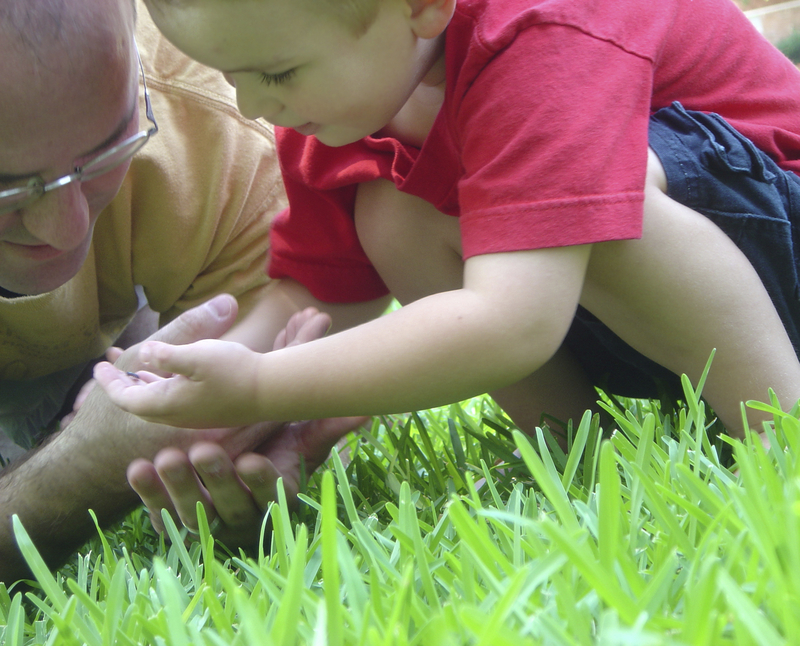 The many benefits of time outdoors for people of all ages are well documented. Numerous studies show that time in nature impacts every area of child development–physical, psychological, intellectual, social, and emotional. Of course, those who spend even a little time outdoors don’t need studies to tell them about its healing properties, and many of us parents are eager to impart nature’s joys and benefits to our children. But what happens when kids aren’t as enthusiastic about outdoor time as we are? How can we gently introduce them to nature and ensure that even the most reluctant child has a pleasing relationship with the outdoors? Consider nature time family time, something to be enjoyed together, rather than an enrichment activity just for kids. 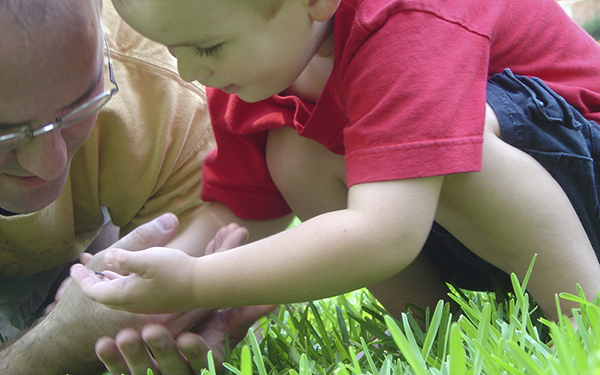 Your kids will follow your lead if they see you enjoying time outdoors. Young children, especially, want to share activities with the adults in their lives. Time in nature helps build fond memories and the kinds of family bonds that tend to reinforce the behavior. There’s no need to wait until you find a perfect trail or take a vacation to a national park. Look for the “nearby nature” close to your home. Young children are adept at finding fascinating nature in small spaces: from the bugs that crawl on garden plants, under logs, or in puddles to the wildflowers that bloom on the side of the road. Take short walks in your neighborhood, if possible. Plant seeds in the ground or in pots. Put out a birdbath or hang a homemade bird feeder and enjoy the nature that comes to you. Try to plan activities that work for your child’s attention span and honor his or her limits and pace. This is especially true when hiking. Choose easy loop walks at first and time them well before or after naptime. Bring plenty of water, snacks, sunscreen, a hat, good shoes, and other comfort items that will help stave off complaints. In addition, let your kids slowly explore, even if that means you don’t cover a lot of ground. The experience outside is key, not the mileage. Friends can help make an outing more fun, and they can help you with resources if you’re not particularly comfortable in nature yourself. Join a hiking or outdoor event, club, or group. Some families have gone as far as to form nature clubs to ensure that they have outdoor activity buddies. Consider joining one of them. Sometimes a scavenger hunt is just what it takes to turn a walk, a park outing, or even backyard time into an adventure. Before you go, make a list of 10 things to search for, such as a pond, a duck, a dandelion, a yellow wildflower, a nest, a feather, or a hollow log. You can create items that are more open-ended, too, such as something rough, something orange, or a heart-shaped leaf or rock. Look for the items individually or in teams and check each off the list when found. You can even add a literacy component to your hunt by playing What I See from A to Z: Have kids look for items with names that begin with the different letters of the alphabet. Older kids can search for the whole alphabet, while younger ones can be on the lookout for things that start with one letter. Games can help engage formerly reluctant or bored kids in a new way and help busy families slow down and focus on the wonders of nature. Nature tends to bring out the observant in people, but it can be coaxed as well. Bring a magnifying glass or binoculars to get close-up looks at wildflowers, birds, bugs, butterflies, and other creatures and plants. Sometimes shutting our eyes helps us observe more than when we’re walking, seeing, and doing multiple activities with multiple senses. Play the Listen, Do You Hear? game: Find a comfortable spot in the grass, lie down, settle in, and have everyone shut his or her eyes. Tell kids to raise one finger for each new sound they hear. At the end of a session, count all the different sounds. Just as it brings out the scientist in kids, observing in nature can foster the artist. Bring journals to write or draw in or cameras to help focus on and record nature’s beauty. Try having older kids write a vertical poem: Choose a word that represents your feelings and observations. Write that word vertically. Each letter of the word will then be the first letter of a sentence in your poem. Your child may respond to an invitation to nature in book form. The National Association for the Education of Young Children offers a great list of nature books for kids. Cuddling and reading about nature can be another way to form a positive association with the outdoors and bring it into your life and home. If fears are keeping you or your family from enjoying the outdoors, empower yourself with information that will help you be knowledgeable and safe. The Centers for Disease Control and Prevention offers resources about safety around animals and hiking and seasonal safety. Susan Sachs Lipman (Suz) is the author of Fed Up with Frenzy: Slow Parenting in a Fast-Moving World, which contains 300+ activities for family fun and grew out of her blog, Slow Family Online. Slow Parenting and the book were named a 2012 Top 10 Parenting Trend by TIME Magazine. Suz has written for the New York Times’ Motherlode blog, the Christian Science Monitor’s Modern Parenthood blog, and many others. She manages social media for Parents Place.